NBE is a unique blogger program designed for successful and professional travel bloggers. The NBE is organized in January 2018 by the MATKA Nordic Travel Fair. 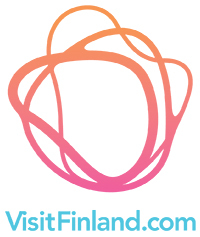 MATKA is the leading travel exhibition in Northern Europe. Meet 1,000 exhibitors representing 80 countries and get contacts from Scandinavia and Russia. MATKA has 70,000 visitors of which 15,000 work in travel trade. Enjoy 4 days of effective business every January in Helsinki. How would Finland seem in the middle of the darkest and coldest winter? Our #NBEFinland bloggers got together and created this great list of day trips to do from Helsinki! "For a taste of the wildest Finland, transport yourself to Ähtäri Zoo for a simply unforgettable trip. This remote place is located right in the middle of Finland, and it’s a natural haven where people live very close to nature in between vast forests and beautiful lakes." "Has winter in your neck of the woods left you disappointed yet again and you've finally decided to head to Finland next year to experience proper snowfall and cold for once?" NBE is more than a blog trip. It is an opportunity to learn, connect and make dreams come true!